My highlights will hint at what I would have written about this strange, compelling book, and those from the excellent intro by Robert Macfarlane do the job better than I would have (this recent edition is the one with the Macfarlane intro, most of which you can also read here, and whose recent book Holloway is part inspired by the Rogue Male landscape). I will say though that you mustn't let it put you off - with the distance of about 75 years, the book now appears horribly classist and racist at times, but it is excellent, weird, psychological and exciting. I missed the radio dramatisation last year. 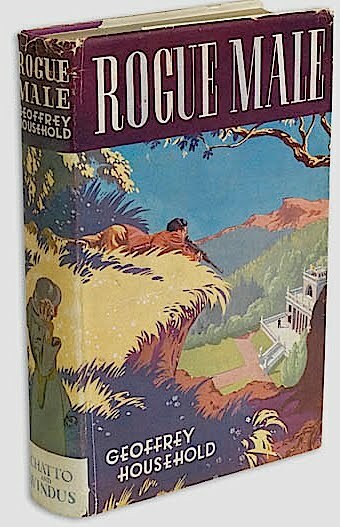 Rogue Male is a dark 39 Steps.